As you know, the Synod Financial Services pilot ended on January 31, 2018. I want to highlight several important items and a key date in the transfer of financial services back to your synod. Most congregations are now forwarding remittances to the synod, per the plan. However, we continue to receive remittances from time to time from a small number of ministries in your synod. We ask that you remind congregational treasurers to send remittances to the synod per your instructions. In September, MIF will close the post office box to which remittances are sent. All mail sent to the post box thereafter will be returned to senders. Access to the SFS website for synods and congregations will be discontinued on June 30, 2018. The SFS team recommends that you download any files you need in advance of that date. Everyone in the Churchwide office gets an email every week of the synod assembly season reminding us to pray for each assembly as they approach. We are grateful that you allow us to be part of your important work. Every year, we send out a survey to get an idea of how our video was received. This year, we produced two videos. One was a message from Bishop Eaton, and the other listed ELCA facts and figures from 2017. We decided to keep the survey focused on Bishop Eaton’s message video. We would really appreciate the feedback this would give us. We have uploaded video recordings from our 2018 Synod Assembly to our YouTube channel in the 2018 Synod Assembly playlist, or the individual video links can be found in our NT-NL weekly news for Monday, June 4. Did you see the World Hunger edition of our NT-NL Weekly News for Monday, May 28? If you are reading this message, we are requesting a few minutes of your time to submit a survey about your knowledge of and/or involvement with ELCA World Hunger. ELCA World Hunger Domestic Hunger Grants support ministries that accompany people experiencing poverty and hunger in the United States, Puerto Rico, and the U.S. Virgin Islands. These grants go beyond meeting immediate needs to address the root causes of hunger – in addition to relief programs, ELCA World Hunger Domestic Hunger Grants support projects in advocacy, community development, and community organizing that strengthen the foundations of communities affected by hunger and poverty. The application for 2019 Domestic Hunger Grants will be open soon! Please check back later this month for more details on how to apply. We’re expecting the deadline for these grant applications to be in July, so don’t delay in submitting yours! 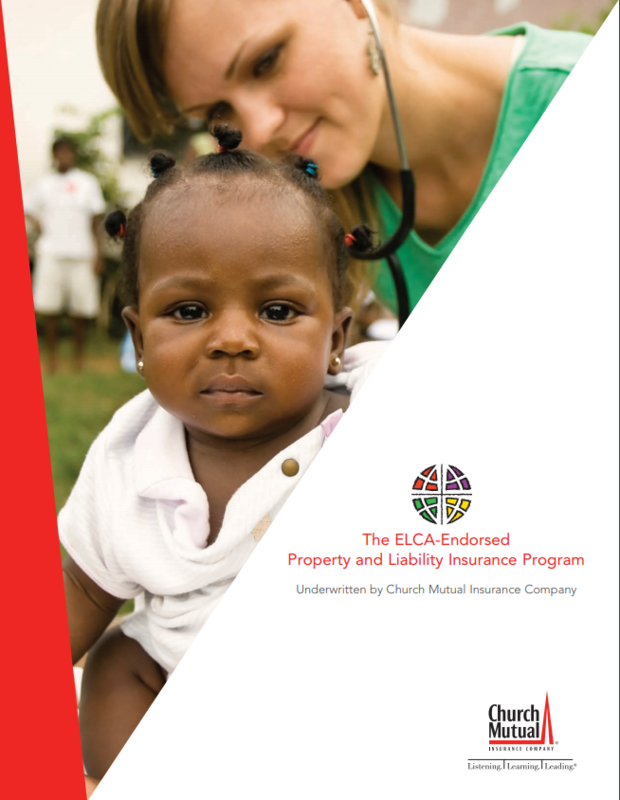 Did you know that over 3,200 congregations and 48 synods are currently insured by the ELCA-Endorsed Property and Liability Insurance Program underwritten by Church Mutual Insurance Company? The program offers competitive rates, excellent claims services, and other valuable features such as its sensor program to help further protect your property. For more information, please refer to this link concerning the ELCA endorsement and to this brochure further explaining the program. Obtaining a quote is easy. Just call 800-554-2642 and select option 1. Check our NT-NL weekly news for Monday, June 4, for full details, resources, links, and actions. This training is being hosted by our partners at United Way of Tarrant County. This is not your average board training. The Bolder Board Training helps nonprofit boards awaken, articulate, and pursue their most magnificent dreams. It teaches boards how to work with their leaders to create audacious possibilities for impact. It is the first board training designed specifically to offer boards a pragmatic and conscientious alternative to the culture of financial deprivation and constriction that they often find themselves upholding. It is not a traditional training on governance and finance. It is an immersion in possibility and aspiration that positively and radically disrupts traditional ways of thinking. The Training takes place over the course of approximately seven hours. It is part lecture, part workshop. It is designed specifically for boards. Organizations are encouraged to bring as many of their board members as possible. The Training can also serve as a powerful first day to a board retreat. The training liberates natural leadership instincts from the constraints of our cultural mindset about charity. It helps boards become conscious of persistent, limiting assumptions. It is based on the idea that we are at our best, most fully alive, and most impactful when we are challenging assumptions of impossibility – often that we didn’t even know we had. Register your interest in a North Texas training on Friday, September 7. 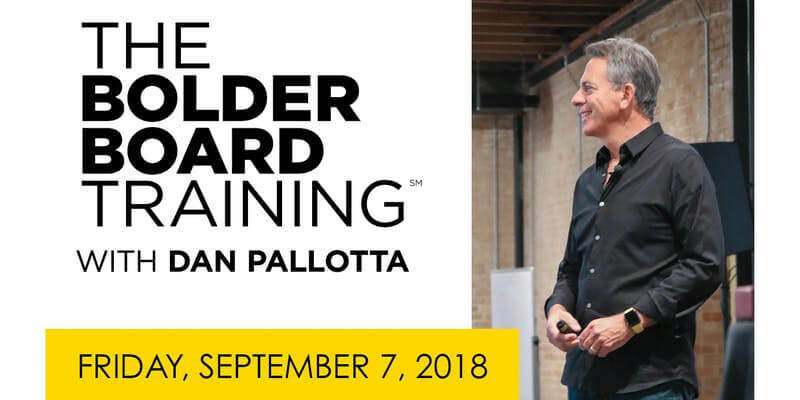 The training is led by Dan Pallotta. Dan invented the multi-day charitable event industry with the AIDSRides, Breast Cancer 3-Days, and Out of the Darkness suicide prevention events, which raised over half a billion dollars in nine years and were the subject of one of the first Harvard Business School case studies on social enterprise. His 2013 TED talk on philanthropy has been viewed more than 4.3 million times and is one of the 100 most-viewed TED talks of all time. His book, “Uncharitable,” is the best-selling title in the history of Tufts University Press. The Stanford Social Innovation Review said that it “deserves to become the nonprofit sector’s new manifesto.” He is a regular contributor to Harvard Business Review online. He is widely credited with changing the national conversation about impact and overhead in charity in America. Lutheran Peace Fellowship (LPF) is in the process of hiring a National Coordinator, a key leadership position, and a much-appreciated paid staff member. The ideal Coordinator has a passion to eliminate violence, inequality, and militarism, and has a commitment to nonviolence. He or she will work with members to build awareness of peace issues, encourage member involvement, plan and lead peace education, advocacy, and outreach activities, develop resources, and nurture leadership. Applicants should send a letter, resume, and contact info for 3 or 4 references. Interviews will begin in late spring, and they hope to welcome and orient the new coordinator by fall 2018 or early 2019. They will help the new hire move to Seattle, which has an office, experienced volunteers, & supportive congregations; or move the office to where he or she lives, if appropriate. While the position’s salary is modest, it may be expanded with grants & additional fundraising. For a full job description, see lutheranpeace.org/articles/position-announcement/, which also has links to useful windows and resources on LPF’s vision, priorities, activities, and accomplishments, and/or you may contact them directly at 206.349.2501 or lpf@ecunet.org.